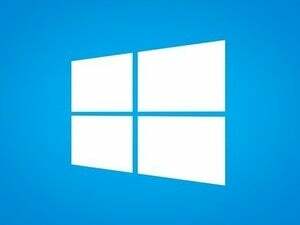 If you’re having problems with Windows 10’s forced updates, you’re not alone. Thankfully, with 11 cumulative updates behind us, we’ve accumulated some coping experience. Each cumulative update is different, but there’s a handful of tricks that can help jolt your system back into consciousness when a troubling cumulative update strikes. If you’re having problems, the following solutions are worth a try. If you can’t get back on course, follow the instructions at the end to find more personalized help -- and the hope to live to fight another day. I’ve avoided recommendations that seem old-in-the-tooth nowadays. As best I can tell, few recent cumulative update problems are solved by creating a new user account (although there are exceptions). Nor have I hit any mass resets of file associations, which is a problem that plagued earlier cumulative updates. I’m also stepping lightly over Windows Mobile -- sorry, it’s a very different can of worms. This isn’t meant to be an exhaustive list of problems and solutions. Instead, it tackles the most common problems, offering the most common solutions. And if your Windows 10 updating experience has been stable, consider yourself among the lucky. For the rest of us, bookmark this page. You may find yourself coming back again and again. Make sure your antivirus software is turned off. That’s the No. 1 source of bad updates -- or no updates. Coincidences happen. Sure, your PC went to Hades in a handbasket right after you installed the latest cumulative update, but that doesn’t mean the update caused the problem. It’s the old post hoc ergo propter hoc fallacy. Consider the possibility that your problem has nothing to do with the cumulative update. At the very least, anyone with a cumulative update problem should right-click Start, choose Command prompt, type chkdsk /f in the box and press Enter. That’ll scan your main drive and fix any errors. If you’re having problems with a mouse or keyboard, or a monitor or speaker, try plugging them into another computer to see if they’re dead. It's rudimentary, but it works surprisingly often. For most people this is the scariest situation. The cumulative update installs itself (possibly overnight, while you aren’t looking), and when you come back to your machine, nothing happens. It’s dead, Jim. Ninety times (or at least 50, hard to say) out of 100, you can get back to a working machine by booting into Safe Mode, uninstalling the cumulative update, blocking it, then rebooting normally. My old friend Lincoln Spector has the rundown on booting into Safe Mode in a PC World article from last October. Unfortunately, booting into Safe Mode isn’t as easy in Windows 10 as it was in Windows 8.1 (or any other Windows, for that matter). Once you’re in Safe Mode, follow the instructions in the section “Make sure your problem is the patch,” below, to uninstall the aberrant cumulative update. Then follow the instructions in the section “Break out of the endless update loop,” below, to make sure you aren’t tossed back into the fire. Reboot and you’ll be back in your previous version of Windows 10. Some people, in some situations, report that going through the update process takes hours -- many hours, with multiple restarts and hangs. My best advice: Let the update run for three or four hours. If you come back to those spinning dots, then it’s time to pull the plug (literally turn the electricity off), reboot, and see if things worked or not. You can always see what version you’re running. In Cortana’s search box, type winver and press Enter to see which version you’re on. Compare it to Microsoft’s official Win10 update history list. First, restart your machine at least three times. I don’t know why, but rebooting numerous times sometimes shakes out the gremlins. Second, try to uninstall the patch and see if the problem goes away. Click Start > Settings > Update & security > Advanced options > View your update history > Uninstall updates. With a bit of luck, the aberrant update will appear at the top of the Microsoft Windows update list, as you can see in the screenshot. Double-click on the update and when Windows asks, “Are you sure you want to uninstall this update?” reply Yes. Windows will take a while -- maybe a long while -- to reboot, and when it comes back, you should be retreated to the previous (presumably functional) version of Win10. Some patches catch software manufacturers flat-footed. For example, the latest patch (KB 3147458) broke the Interaction Desktop on ININ phone systems; it also broke the desktop version of Pershing’s broker program NetX360. If a program you normally use goes belly-up right after installing the update, get over to the manufacturer’s website quickly and complain loudly. Chances are they will eventually tell you to uninstall the Win 10 patch or apply a new patch of their own. The sooner you can get them started on a fix, the sooner everybody will get it. It’s like watching a PC bang its head against the wall, over and over and over again. Sometimes the cumulative update fails -- you see a message saying “Installation failed,” or something similar, followed by “Undoing changes.” When your system comes back to life an hour or two or five or six later, it goes right back to trying to install the same cumulative update. You get the same error. Wash, rinse, repeat. You might want to let your system go through the full self-mutilation cycle twice to see whether you get lucky, but after that it’s too painful. You need to put Win10 out of its misery. Fortunately, Microsoft has a tool that’ll do exactly that -- it’ll tell Windows Update to stop looking for the specific cumulative update that’s causing problems. The tool wasn’t built for stopping cumulative updates dead in their tracks, but it works nonetheless. Step 1: Go to KB 3073930 and download Microsoft's Wushowhide tool. (Click the link marked "Download the 'Show or hide updates' troubleshooter package now.") Drag the downloaded file, Wushowhide.diagcab, to any convenient location. Step 2: Double-click on Wushowhide.diagcab to run it. Step 3: This part’s important and easy to miss: Click the link marked Advanced. Uncheck the box marked "Apply repairs automatically" (see screenshot). Click Next. Step 4: Wait for Wushowhide to look for all of the pending updates on your system. When it comes up for air, click Hide Updates. Step 5: There should be a box marked "Cumulative Update for Windows 10 Version 1511 for x64-based (or x32-based) Systems (KB xxxxxxx)" or a similar statement. If you’re curious whether you’ve found the wight wascally wabbit, look at Microsoft’s Win10 update history log and compare the KB numbers. Step 6: Check the box in front of the “Cumulative Update…” line, click Next, and close out of Wushowhide. Step 1: Double-click on Wushowhide.diagcab to run it. Step 2: Uncheck the box marked "Apply repairs automatically" (see screenshot). Click Next. Step 3: Wait for Wushowhide to look for all of the pending updates on your system. When it comes up for air, click Show Hidden Updates. Step 4: Check the box marked “Cumulative Update for Windows 10 Version 1511 for x64-based (or x32-based) systems” and click Next. Step 5: This is weird, but Wushowhide will tell you that it “fixed” the “problems found.” (See, I told you it wasn’t built to hide cumulative updates.) Click Close. Step 6: Go back into Windows Update (Start > Settings > Update & security, then Check for Updates). Windows will find the Cumulative Update and install it for you. Although cumulative updates frequently contain security updates, and you don’t want to wait too long to install security patches, sometimes Windows won’t cooperate and you have to put Windows Update out of its misery. Frequently this is the error number that accompanies a failed cumulative update installation and rollback. All too frequently, it’s followed by another automatic attempt to install the cumulative update, then another failure, with the same error code. See the preceding section for advice on ending the loop. The steps there won’t fix the error, but at least you can get your machine back (usually). Once you’re back on your feet, you should try to figure out whether any of your files are locked. (Error 0x80070020 generally means a file that the installer needed was locked.) Common culprits include corrupt Windows system files (see the next section), antivirus programs, and some video drivers. This seems to be everyone’s go-to suggestion for cumulative update installation problems. In my experience, it works only a small fraction of the time, but when it does, you come back from the brink of disaster with few scars to show. System File Check (sfc) is a Windows 10 program that scans system files, looking to see if any of them are corrupt. There are ways to run sfc -- switches -- that can tell sfc to replace bad versions of system files. If sfc can’t fix it, a second utility called Deployment Image Servicing and Management (DISM) digs even deeper. Microsoft recommends that you run both, in order, regardless of the dirt dug up (or missed) by sfc. Be painfully aware that, in the past, sfc has flagged files as broken, when in fact they aren’t. What you’re looking for is the automatic repair from sfc, not its diagnosis. Step 2: In the Admin (elevated) Command Prompt type sfc /scannow (yes, there’s a space between sfc and /scannow). Press Enter and go have a latte. It can take half an hour or longer. Step 3: If sfc reports “Windows Resource Protection did not find any integrity violations” then you’re out of luck -- whatever problem you have wasn’t caused by scrambled Windows system files. If sfc reports “Windows Resource Protection found corrupt files and repaired them,” you may be in luck -- the problem may have been fixed. If sfc reports “Windows Resource Protection found corrupt files but was unable to fix some of them,” you’re back in the doghouse. Step 4: No matter what happened with sfc /scannow, run a DISM. Again, right-click Start and choose Command Prompt (Admin). Gee, it feels like we’re back in the days of DOS, doesn’t it? Step 5: In the Admin (elevated) Command Prompt, type DISM /Online /Cleanup-Image /RestoreHealth (again, spaces before all the slashes, and note that’s a dash [minus sign] between Cleanup and Image). Press Enter and let it run -- half an hour, an hour, whatever. If DISM finds any corrupt system files, it fixes them. Step 6: Reboot and see whether your system was fixed. It probably wasn’t, but at least you’ve taken the first step. Almost everything gets posted to the System Event log. The biggest problem with the Log? People freak out when they see all the errors. That’s why you won’t see it recommended very often. It’s hard to believe that an Error in a System Event log is a natural occurrence. Fair warning: Telephone scammers frequently have customers look at their System Event logs to convince them their computer needs repair. It ain’t so. Step 1: Promise me you won’t get freaked out. Step 2: Down in the Cortana search box, type eventvwr and press Enter. Step 3: On the left, click Windows Logs, then System. Step 4: Remember Step 1. Don’t get freaked out. In the middle, look at the events list. This screenshot is from my main Windows 10 machine -- the machine’s perfectly normal and running well.